Established in 1910, Siegel’s has over a century of experience in providing excellence in both products and service to our Corporate Customers. 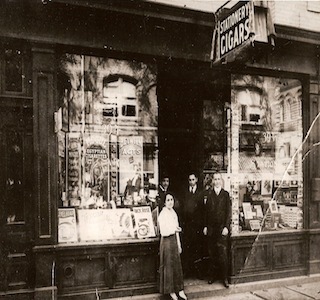 Siegel’s was started by the Siegel family in 1910 as a Stationery and Gift store. The Duffy Family took ownership in the mid 70’s and focused additional resources on our Corporate clients. Siegel’s provided many of the New York area’s Fortune 500 Companies with Holiday and Executive Gifts as well as Premiums and Promotional Merchandise. In 2001 The IGC selected Siegel’s as it’s U.S. member. The IGC (est. 1956) was, and remains today, The World’s largest buyer and distributor of Promotional Merchandise and Corporate Apparel. Membership in the IGC enabled Siegel’s to use the IGC’s enormous buying power and global distribution capabilities for our customers. IGC incorporated in 2011 and Siegel’s is now an owner of IGC Promotions Inc.. There is no better resource in the world for Promotional Merchandise, Awards or Corporate Apparel than Siegel’s and The IGC!